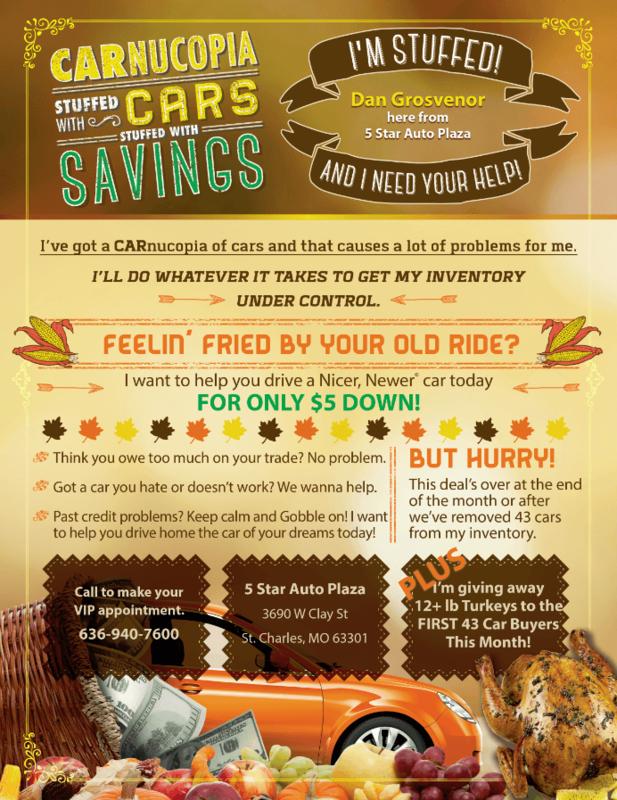 CARnocopia Stuffed with Cars & Stuffed with Savings! Feelin’ fried by your old ride? 5 Star Auto Plaza wants to help you drive home in a nicer, newer car today for only $5 DOWN!! But you have to hurry. This great $5 DOWN deal will end after we have removed 43 cars from our inventory. As a bonus, we will be giving away 12+ LB TURKEYS TO THE FIRST 43 BUYERS this month! You may not have known, but there is a great shortage of turkeys this year and the average cost of a single turkey has increased 20%!! 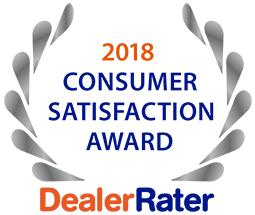 We want you to enjoy that delicious turkey dinner, so stop by 5 Star Auto Plaza or give us a call at (636)940-7600 and drive home in a new ride today!